This weekend officially kicks off the grilling season. Propane tanks are being filled and bags of charcoal briquettes hauled home in great anticipation! Though technically grilling can happen anytime of the year if you have the chops to stand out in the rain and snow, it is a ritual of summer; iconic, necessary and what all the cool kids are doing for dinner. I’ll admit I’m in a more formative stage of my grilling prowess but I’m committed to be serving up some delicious options this summer and to share them here with you as well. 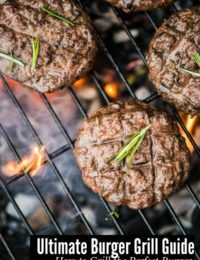 I’ve just recently shared how to grill a perfect New York Strip steak (my mouth is still watering) as well an out-of-this world recipe for marinated grilled Portobello Mushrooms; those huge, meaty mushrooms that even mushroom haters will fawn over. 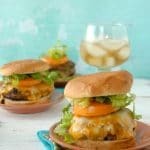 I love a stuffed burger and these Stuffed Taco Burgers are excellent along with Bacon Southwestern Burgers. I’ve made Strawberry Tart on the grill, Grilled Peach and Corn Salsa and a summer favorite Grilled Fairytale Eggplant (smaller than most eggplant and more tender they don’t need to be peeled or salted). 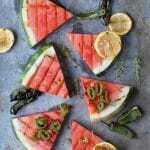 I’m now hungry recalling all these summer favorites! 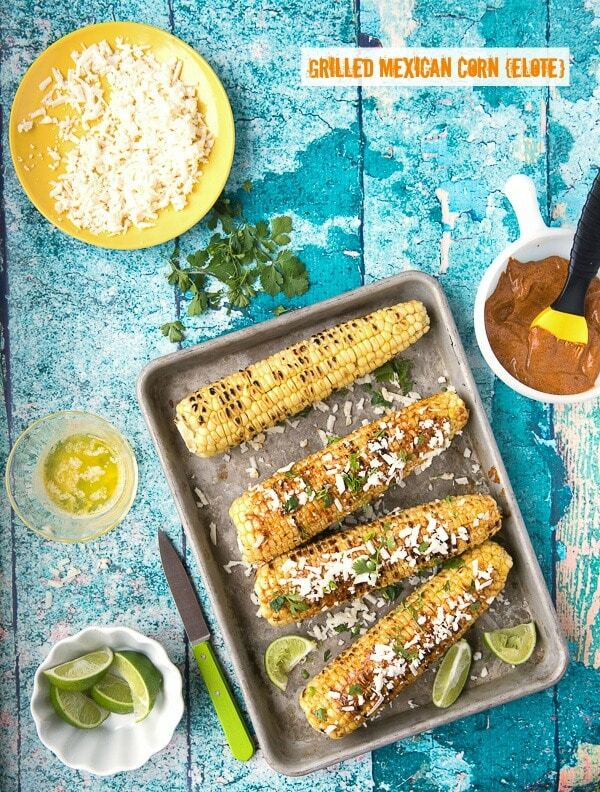 I wanted to spice up the long weekend with some traditional street food, Grilled Mexican Corn. Mexican corn is cooked corn on the ear, usually seasoned with a mayonnaise based chile sauce to spice it up before sprinkling it with Mexican Cojita cheese. 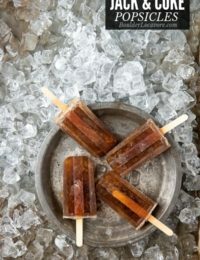 It can be prepared many different ways and often when finding it in Mexico it is served from street carts on a stick or sold in stores. Known as ‘elote’, it is frequently cooked in the husk then grilled and served with condiments for diners to dress it up themselves much as you’d do with a hot dog from a New York city cart. 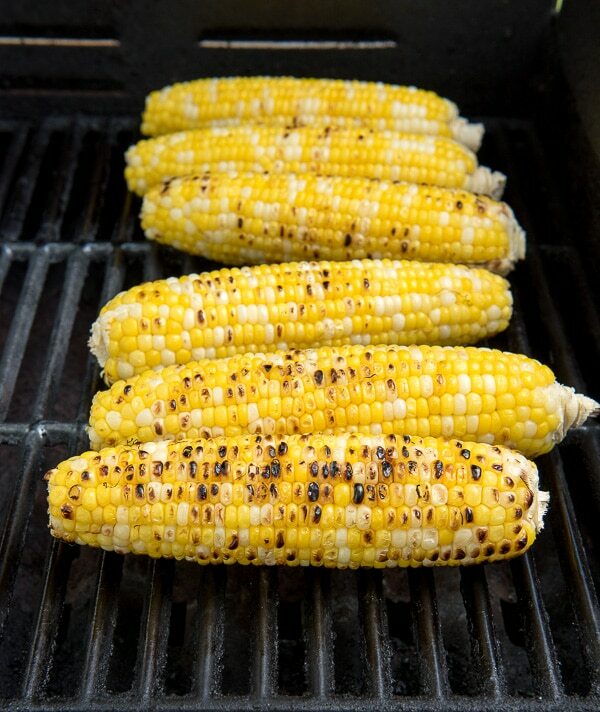 My favorite way to cook it, which always ends in a perfect doneness that is still crunchy but fully cooked, is to briefly boil the corn (out of the husk) and then char it on a hot grill. Allowing it to sit briefly on all sides deepens the sugar flavor of the corn leaving it with an earthier depth. 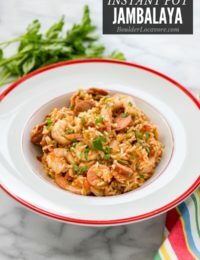 A slather of the spicy mayo sauce, the cheese, sprinkle of cilantro and a squeeze of lime elevates it as the well-known side kick at the grill table to the star attraction! 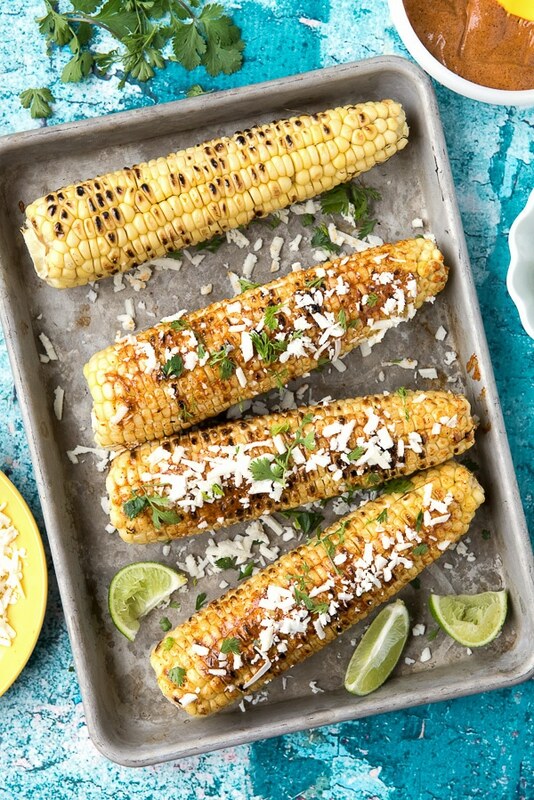 This spicy version of corn on the cob will steal the show as an addition to your next grilled meal or as the centerpiece. Briefly boiled and then charred on a high heat grill, the corn develops a robust, earthy flavor of deepened sweetness and smoke. When slathered with a spicy mayonnaise, cojita cheese, cilantro leaves and a squeeze of lime, it's really out of this world delicious. Bring a large pot of lightly salted water to a boil. At the same time, heat the gas grill to 400 degrees. Clean and oil the grill when it reaches 400 degrees. Add the ears of corn to the boiling water and cook for 5 minutes. While the corn is boiling, prepare the sauce and melt the butter. 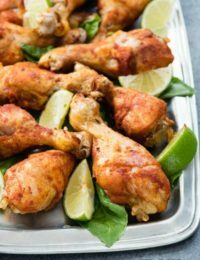 To prepare the sauce combine the mayonnaise, chipotle chile powder, smoked paprika and lime juice in a small mixing bowl. Stir to fully combine and set aside. 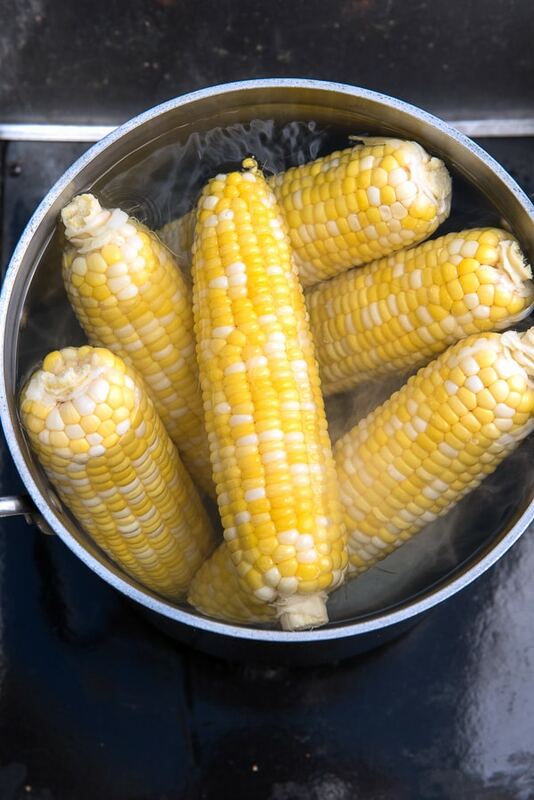 When the corn is done boiling, remove it from the pot with tongs allowing any excess water to drain. Place the corn on the heated grill and allow it to grill on each side from 30 seconds to a 1 minute, causing some browned spots. Keep turning the corn to cook on all sides. Cooking total time is 2-3 minutes. Remove from the grill. Brush the corn with melted butter followed by the chile pepper sauce. Note: corn can be brushed on all sides or just half, allowing some of the kernels to remain in their natural state to offset the spicy sauce! 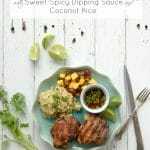 Sprinkle with the cojita cheese, cilantro leaves and serve with lime wedges. This just screams summer! Looks so delicious. 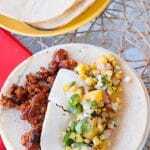 I love the use of cotija cheese – definitely something I’m going to have to try! I’ve never made corn this way, I am counting the days till I start seeing the good stuff at our farmers market!! I sooo need this corn in my life!! 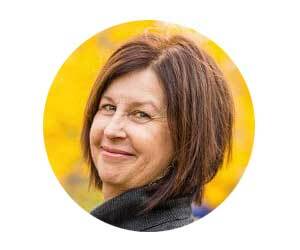 Toni – this is wonderful. I have 5 ears of corn sitting in my refrigerator and was planning to do something tonight and now I know their fate! I don’t have the cheese but have everything else. 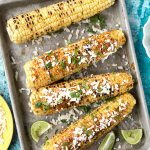 Lovely photos, great recipe, and now I’m craving grilled corn! 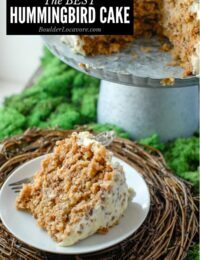 Made this last night Toni and loved it – we didn’t have the cheese but it was great! 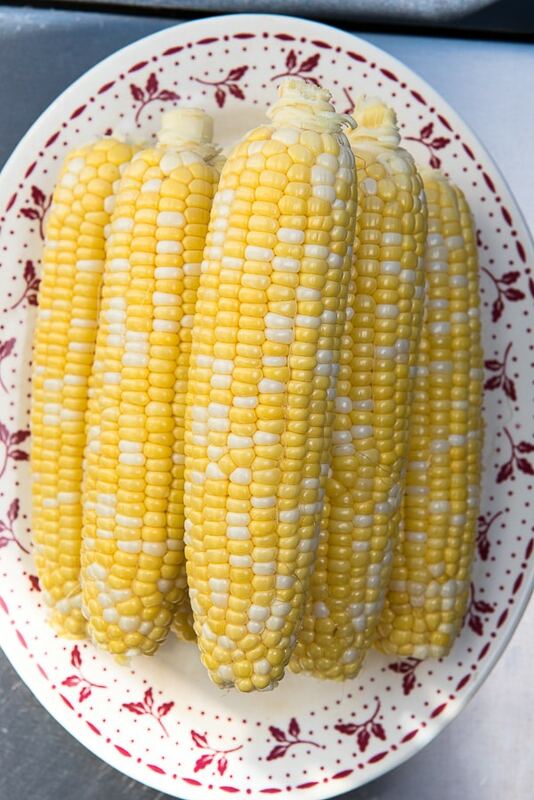 Thank you – this is the perfect way to make grilled corn. If it was this wonderful without cheese, I can’t imagine how great it would be with cheese! Thank you and hope you have a wonderful weekend. 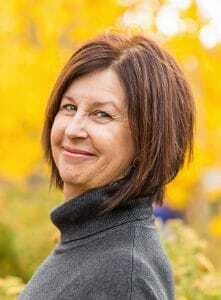 Tricia I’m so glad! The cheese adds a different flavor dimension but not as with traditional cheese. It is not fatty tasting as with most cheese so adds a layer of seasoning flavor almost. Thanks for letting me know you made it! 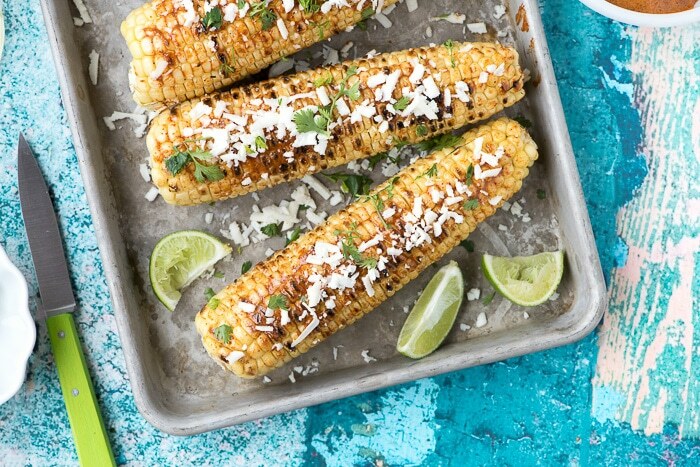 I love grilled corn and this Mexican version looks so delicious. I’ve never been able to find Cotija Cheese in my part of the world. What cheese would be a good substitute? Can you find any Mexican cheese? 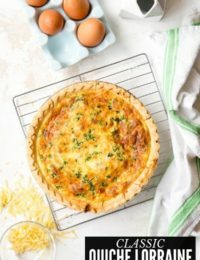 I just Googled substitutes and found this which suggests using Feta for the softer version which is used here.